Every year we take back-to-school photos and fill out a first day of school interview sheet. It’s become such a fun tradition that I wanted to share it with you. 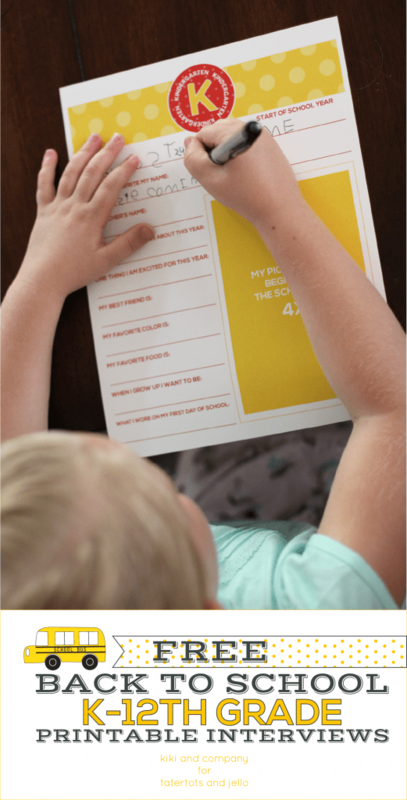 I’ve gathered 8 back to school free printables that you can use to document your first day back to school (and if you’ve already started back to school, it’s fine to go ahead and use these anyway!). Every year we use a printable sign printed off on regular printer paper and framed in an inexpensive document frame that I painted white. I just use the same frame over and over each year. And when we’re not taking the photos, I keep a different printable in the frame (which hangs over my desk). We take a photo of each individual child holding a sign with their current grade, and then we take a group photo with the kids and mom. For example, my kids will remember, “We always took pictures, filled out an interview sheet, and got a treat on the first day back to school.” I love that they’re going to remember that, just like they remember we always make gingerbread houses at Christmas. I started these traditions years ago, when my oldest children were young. Now they’re rituals we all look forward to and love. I’m so thankful for all the creative mamas out there who make printables to share. 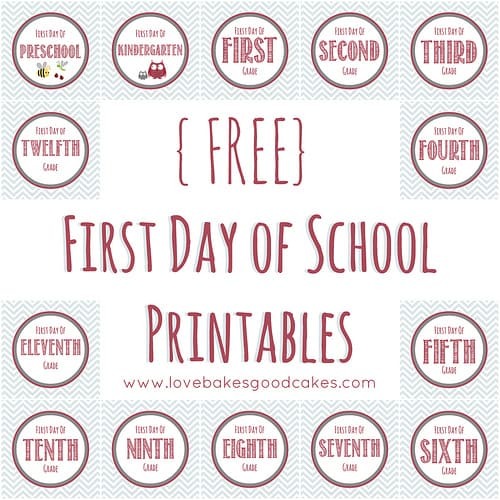 Today I’ve got 8 back to school free printables for you to choose from! Some of them are back to school signs to use in your first day of school photos, and some of them are interview sheets. 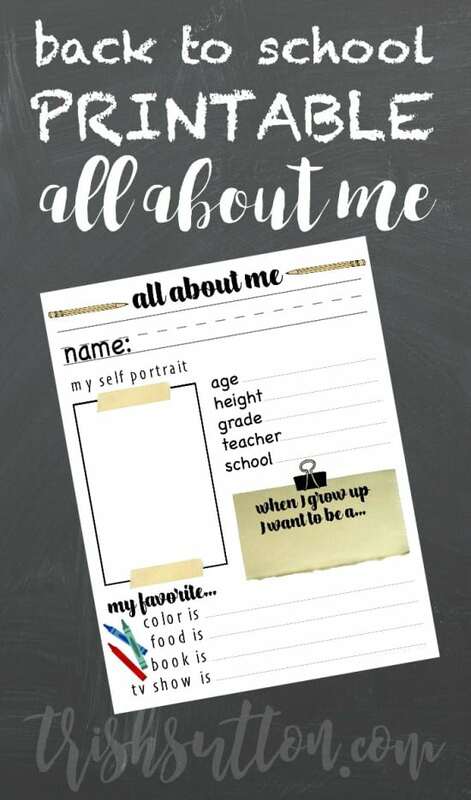 And the last one is a printable you can use for a teacher or student gift. 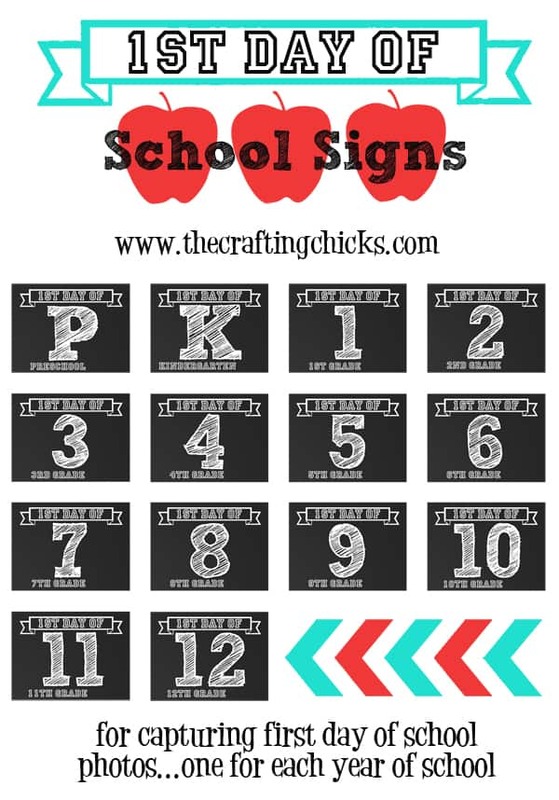 These are so cute and there’s a place to add the year with a chalk marker or you can edit it in Picmonkey (she shares the font she used, so it can match). 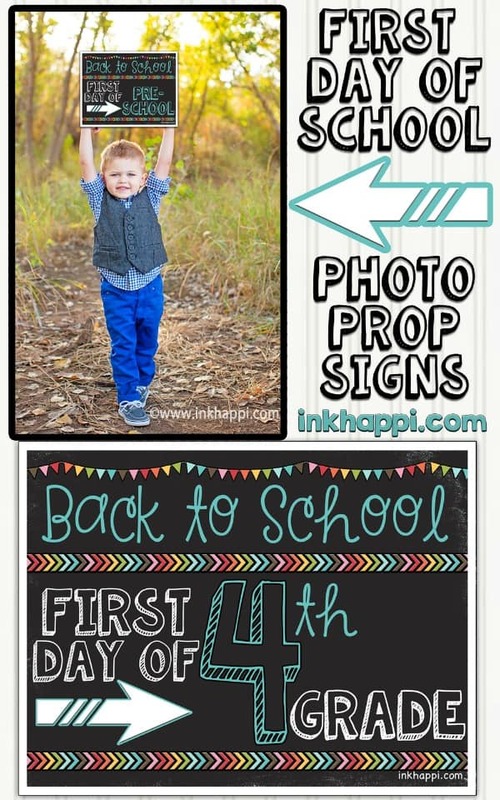 If you prefer a more colorful first day of school sign, you may love these! I think they’re so cute, especially the preschool and kindergarten ones! I just love how bright and colorful these signs are! I’ve been using a different interview sheet the past few years, but this one is super cute (I may have to switch)! I love that there’s a place for a photo. This is such a creative idea, and is great for scrapbooking! 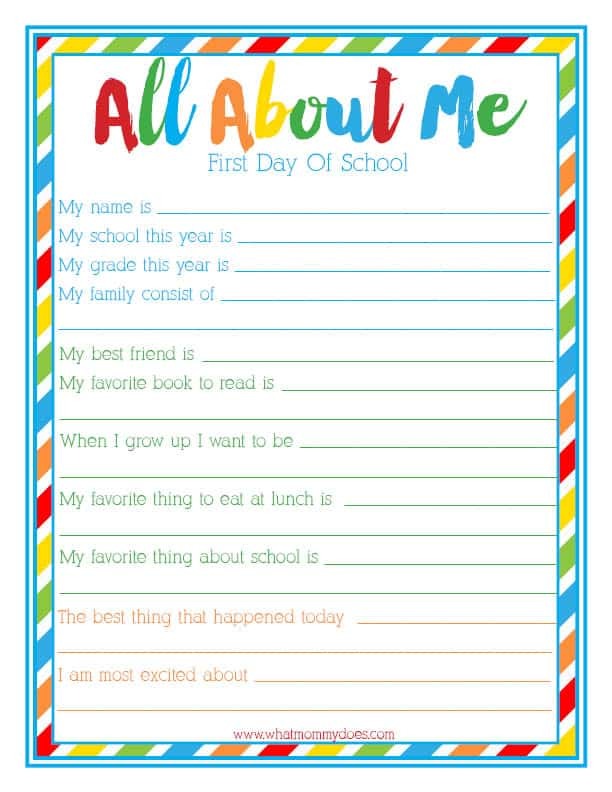 This is another colorful option for a first day of school interview page. This one has a space for your child to draw their self-portrait. I just love the bright colors of this printable! If your children go away to school, you could use these as a teacher gift. 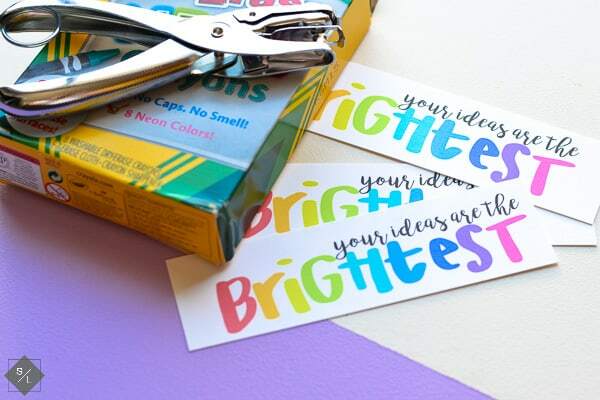 As a homeschool mom, I love the idea of using these printables for a student gift! You could get your children a special package of crayons, colored pencils, or some other fun splurge. Then print off the labels, tie them onto the gift with a ribbon, and give them as a first day of school treat. Do you have any back-to-school traditions? Leave me a comment with your ideas! I’d love to hear how you make the beginning of a new school year special and memorable! 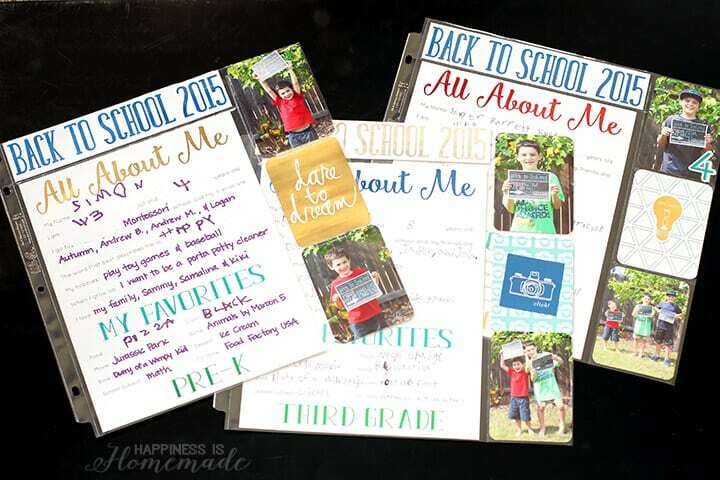 What gorgeous printables! I wish I’d had them when my son was going to school! thank you so much for sharing, and for being a part of Hearth and Soul. Will share on! Thanks so much for hosting the link-up, April!